How To Become a Carpenter? How to get a carpentry apprenticeship? How to Become a Self Employed Carpenter? 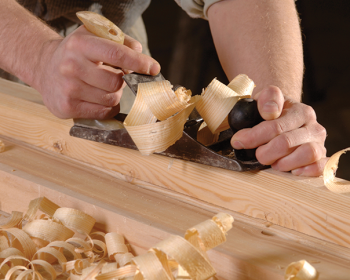 A carpenters job is to make and fit the wooden fixtures & fittings around the home or commercial premises. Typically this will include roof trusses, floorboards, staircases, door frames & doors, kitchen & bathroom fittings as well as partition walls. roof and floor joists, roof trusses, staircases, door and window frames etc. Second Fixing: The fitting of doors and the surrounds, skirting boards and cupboards. When you are a carpenter you might be employed or self-employed and your work may vary from large commercial projects or small scale domestic carpentry jobs. The CSCS was established in 1995 with the objective of helping the construction industry to get quality up, accidents down and cowboy builders out. The card costs £25 and it costs £17.50 to sit the health and safety test. You may be required to work overtime at weekends and evenings in order to meet a construction deadline. Due to the nature of this job you will be working inside and outside the work can be physical demanding and you would need a good head for heights.